While boxes of pancake mix are convenient, it really doesn't take much time to make your own pancake batter. 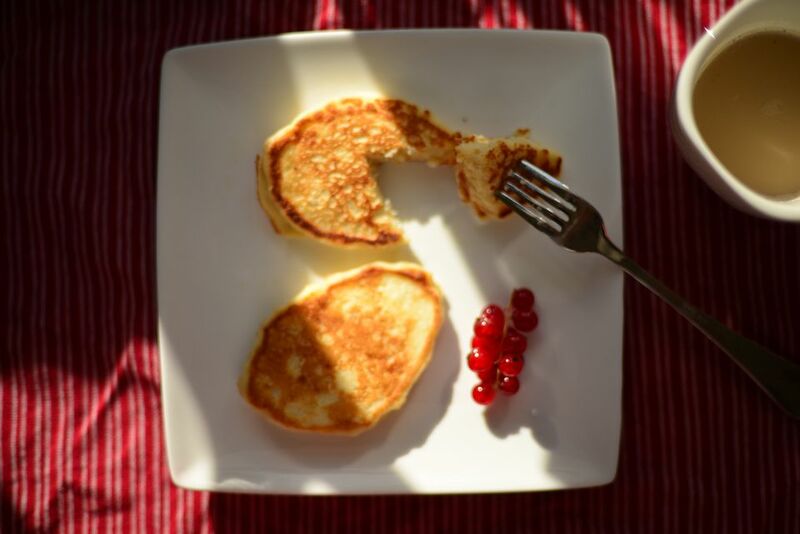 For a little extra fiber, try these yummy applesauce oatmeal pancakes. Resist the temptation to top them with butter. A little maple syrup is perfect, or try some warmed applesauce and a sprinkling of cinnamon. Place ingredients in a medium bowl and whisk until well blended. Heat a griddle to 375 F (medium). When griddle is hot, pour about 1/4 cup of pancake batter per pancake. Cook until bubbles appear and edges are puffed. Flip the pancakes and cook until golden.